WordPress started off as a hobby by a teenager living in Texas. From those small beginnings, it become the number one website platform in the world. Understanding how and why WordPress took over the Internet could be the secret to turning your next book into a masterpiece. We stumbled across the WordPress Philosophy when developing MyBookTable. We religiously followed that philosophy, and now MyBookTable is the #1 Bookstore Plugin. It really does work and can help take your writing to the next level. If readers have to go to college before they can understand your book, you are doing it wrong. Jargon, large words, and complex grammatical structure alienate the readers. 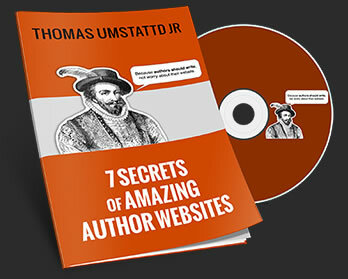 If you want your book to spread, it needs to be approachable for regular readers. It is no surprise that Young Adult is so hot right now. It is the genre that works “out of the box” for the largest number of readers. You can shake your fist at a world where people are not sophisticated enough to understand your greatness, or you can roll up your sleeves and write a story readers can appreciate. Don’t try to please every critic. Decide ahead of time who you are not trying to reach. Knowing who you don’t need to listen to is critical when sorting through feedback. Get to know what the majority of your readers want. Then write to thrill those readers. This is the hardest tenet for us to follow at Author Media. The temptation when developing plugins is to add every feature that every author asks for. We have users all over the world and we get a lot of suggestions and feature requests. But if we took every suggestion, we would create Frankenstein’s monster, as the plugin would have so many buttons and options that no one would know how to use it. With MyBookTable, we wanted to create something simple like the iPhone, not an airplane cockpit. In our attempt to please everyone, we would thrill no one. So sometimes we have to say “no” to good ideas from our users. When writing a book, it is easy for the scope to spread. Each new character is an invitation to introduce a new plot line. Each problem is related to another problem, tempting you to address multiple problems in one book. For instance, I am working on a book about the problems with Modern Courtship. The Courtship Crisis is related to the problems created by Patriarchy. But if I were to try to address both patriarchy and the courtship crisis, the book would fail to fully address either problem. If each draft of your book is longer than the previous draft, you are doing it wrong. I agree with Stephen King, who says the second draft should equal the first draft minus 10%. When we launched MyBookTable 2.0, we actually removed some features. We removed even more features while working to make 2.1 simpler. No one noticed. We are watching the anonymous usage statistics as much to figure out what to remove as what to add. Between 50% and 90% of traditionally-published authors miss their deadlines. Independent authors often set no deadlines. If you wave at deadlines as they go whooshing by, you are never forced to make the hard calls that improve you as a writer. It is in the crucible of an impending deadline that great writing is crafted. At Author Media, we work with the kind of professional authors who are able to put their children through college with the money they make writing. These writers meet their deadlines. It is one of the disciplines that separates them from the hobbyists. Steve Jobs once had a developer who was holding up the launch of the Macintosh because it was not yet perfect. The developer asked Steve for more time. Steve replied that he had been working on this for months and that a few more days were not going to make a difference, because “real artists ship.” They had a deadline and they had to meet it. The team stayed up for three nights straight to meet the deadline and the Macintosh shipped on time. Deadlines clarify priorities and help you overcome the fears that swarm around a writer’s head. They also motivate you to a level of concentration and output you cannot accomplish any other way. Most writing occurs within 30 days of a deadline. Fewer than 1% of readers will post a review of your writing. Don’t let the folks who do leave reviews get you off your game. The good reviews can over-inflate your ego and the bad reviews can destroy you. Don’t believe your own press. There have been dozens, if not hundreds, of blog posts written critiquing my views on courtship. Over a million people enjoyed the article, and hundreds of thousands shared it on Facebook. Despite the passively positive reception from the majority, the small percentage of critiques thunder through my brain. In order to write my best book, I need to write for the majority who have ears to hear and not allow the vocal minority to silence me. This is easier said than done. We will see if I am able to succeed. This is the “wall of love” in my office. It displays some of the more famous critiques of my writing. If I ever start writing for these people, I lose. This philosophy is hard to follow. But if it can make Matt Mullenweg (the nerdy teenager behind WordPress) one of the most 25 influential humans on the Web, it can work for you.